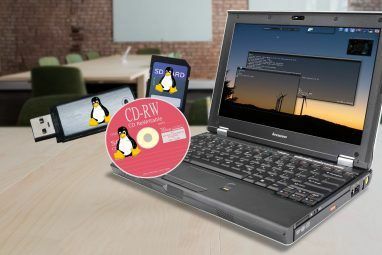 Have you ever been working on a different computer and thought, “Drat, I wish I had ProgramX with me. That would really help.” Or am I the only one that still uses the word ‘drat’? Yes, you could carry around a binder of CD’s and DVD’s with you, but that’s really cumbersome and doesn’t look that cool. Eure.ca has developed software called PackageFactory that takes your desktop application and converts it into a U3P application to run on your U3 drive. Best of all, it’s free for personal use! If you’re a developer and you want to use it on your commercial application to make a U3 compliant package, it only costs $39.95 – and I think that’s Canadian dollars. So it’s a steal at any price. For this tutorial, I’m going to try converting Sysinternal’s autoruns.exe to a U3P application. I was going to try to make a U3P application out of PackageFactory, but I thought that might be like dividing by zero and implode the Universe. You can thank me later for not doing that. The first step is to follow the ultra-simple instructions on PackageFactory’s interface. Applications that have such a blatantly easy to use and follow interface are wonderful. Good work here. There is a more complicated Advanced Mode to help in converting more complex program’s, yet for now let’s stick with the Wizard Mode. Yep. It’s that simple. Your best bet is to click on the Drop EXE Here or Click to Add box. Then select the .exe file you want to convert. At this point, you can edit the Program Name or add a Description if you’d like. Then, just click on the Create! arrow. PackageFactory will then convert the program and ask you where you would like to save it. Probably the best spot to save it to would be your Desktop. That’s it for creating the U3P program. No, really! Don’t tell me to shut up! Really, that’s it! Now you just install the program on your U3 drive. If you haven’t done that before, it’s fairly similar to installing a program on your computer – probably easier even. Open up your U3 device’s Launchpad and click on Add Programs then select Install from My Computer. Your U3 device may be different than mine or have a different type of menu, but this is what mine looks like. There are many like it, but this one is mine. Then select the U3P package you want to install from your Desktop. Follow the prompts and then test the program to make sure it works. Kazowie! Done! Since autoruns.exe is a very simple program with just the executable file to convert, the PackageFactory Wizard works just fine. However, if you have something that requires .DLL’s or more to run, try using the Advanced Mode. It may take some practice and research to get it to work, but it can work. I’ve converted some fairly complex applications after a few tries and a little Googling and cursing in Ukrainian. Well, I assume it’s Ukrainian swear words since my wife says them a lot. Maybe it’s nonsense. She’s a little loopy after being with me for so long. I thought ‘Ð´ÑƒÐ¿Ð°‘ was a term of affection. Now you can really use your U3 drive for just about anything, just about anywhere and not worry about affecting someone elses computer or leaving as many tracks. Got any great little apps or neat ideas for using PackageFactory? Have you used PackageFactory for any really complex apps and got it to work? Want to learn Ukrainian swear words? Let’s hear it in the comments. Explore more about: Portable App, USB, USB Drive. Thank you for the informaiton about "package Factory." It was really easy to use but did not seem to work in converting iTunes. It gave me a successful message but will not launch after installation on my Cruzer U3 Disk. I need help in removing the program fromt he disk. I have searched everywhere. Can you help? "This is my rifle. This is my gun." great post. Ha! You caught that - right on! Oddly enough, no one caught my 'Supernatural' reference in one of my recent articles. This article is wrong. PackageFactory only allows you to zip up a program and then have it be able to appear in the U3 menu. IT DOES NOT MAKE ANYTHING PORTABLE THAT IS NOT ALREADY PORTABLE. If something is already portable, you don't need U3 or PackageFactory or anything else. Just use PortableApps.com and their set of portable apps and then add any other portable software you want (their platform works with everything). It appears that you are at least partially correct. I don't claim to know all the details about how U3 drives work, but an actual U3P app has to have the .exe as well as a manifest.u3i file, which appears to be something like an XML file. Otherwise, you could just move the .exe file onto the U3 drive, but it would actually end up extracting to, and running on, the host computer. Having it as a .u3p means it really runs on the U3 drive. 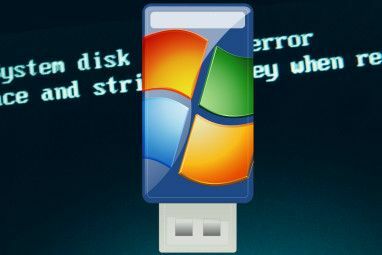 It is true that PortableApps.com has great apps that will run on pretty much any USB drive, but how much the application interacts with the host, I don't know. So, in conclusion, don't shoot the messenger. Talk to the PackageFactory developers. So all we need now is a program which will create truly portable apps and not just U3! Or is there one that I missed? I honestly hadn't thought of that, but that might work for simple executables. Fortunately, a lot of simple executables are OSS or freeware, so there would be no need to co-opt it. Good idea! I haven't tried that yet, but I think I will. Perhaps there will be an article on that in the future here. This method takes very little additional space in the System folder of your U3 drive. That does look pretty cool. I'll have to try that out. Thanks! Extremely cool post I will take a look at this! you can use on any pendrive?? Unfortunately no. It has to be a U3 pen drive. Sandisk makes some decent affordable ones. It might be possible, but as you say, the data transfer rates would be brutal. Although there is a U3 version of OpenOffice out there. I've used it and it's alright. I'd like to see SuperAntiSpyware and/or Malwarebytes to work using this.